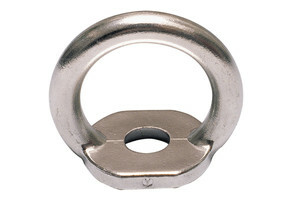 Capital Safety anchorage connectors are built from top quality materials guaranteeing high strength and durability to stand up to the toughest environments. Anchorage connectors are the unsung heroes of most fall protection systems, often overlooked but critical components because they securely attach your system to the anchorage. Your choice of anchor depends on the type of work being done. Anchorages are sold by what they connect to (general/all purpose, steel, concrete, roof or specialty), whether they are fixed or mobile, and whether they are permanent or portable. They all must provide a secure point of attachment for a complete personal fall arrest system, and must be capable of supporting a load of 5,000 lbs. (22kN) or of meeting OSHA’s criteria of a 2-to-1 safety factor.